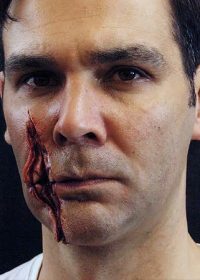 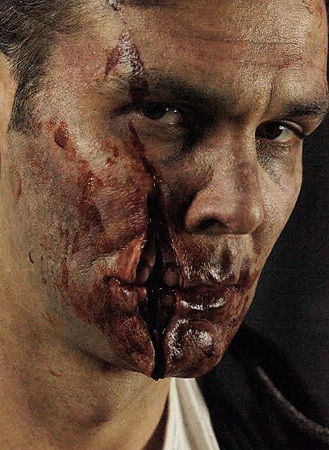 The Mouth Slash Prosthetic features a deep cut/axe wound exposing gum tissue and teeth. Perfect for Walking Dead style zombie effects or trauma simulation, the teeth on this appliance part to allow for talking or eating. 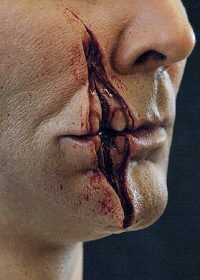 Want to make it look extra gruesome? Try our Zombie Blood – rich and dark in colour, this will add even more depth to this horrific wound.